$350 million investment downtown Sparks - Three major housing and commercial projects. 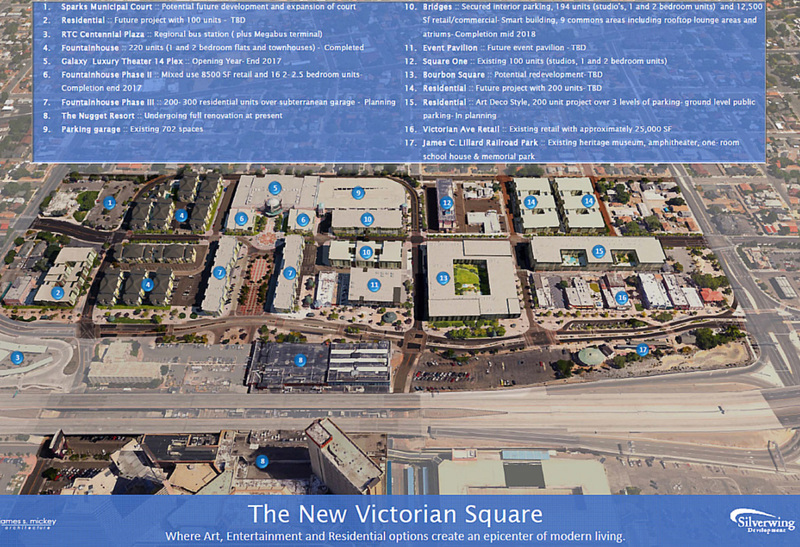 When finished Victorian Square will be a unique blend of historic Sparks with modern living, amenities, and commercial/retail spaces. The Silverwing Development will build more than 1,500 housing units in Victorian Square in downtown Sparks. About 60,000 square feet of retail and commercial space will be included in the renovation of the Galaxy Luxury 14-plex. "The vision that Silverwing brings to this project is exactly what we need in Victorian Square," said Sparks Mayor Geno Martini in a news release. Victorian Square is home to a number of current businesses and special events. According to Silverwing, residents and visitors can expect to see the addition of a variety bars, coffee houses, dining options, entertainment and boutique shopping. 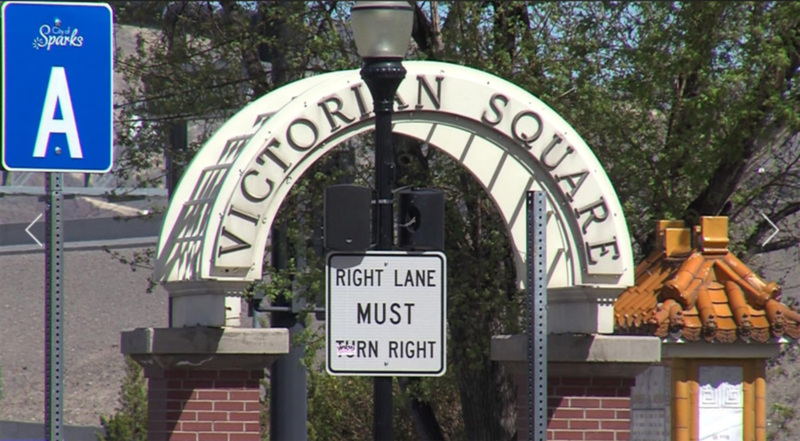 "Our goal is to revitalize Victorian Square to be a vibrant and engaging downtown where people want to live or visit repeatedly," J Witt, president of Silverwing Development said in a news release. Last year, Silverwing started construction on the first phase of The Fountainhouse in Victorian Square, with a fitness center, clubhouse and 220 one- and two-bedroom apartments. The project is in construction final stage and many units are now available for rent. Also under construction, The Fountainhouse mixed-use project includes 16 large flats above 8,500 square feet of commercial space with secure parking. This project is expected to be completed by the end of this year. Another project, The Bridges, will open with 194 studio, one- and two-bedroom apartments with secured covered parking, public areas and amenities. An additional 12,500 square feet of retail and commercial space is also on site. Leasing begins in February 2018 with move-in starting in the spring. With the $25 million renovations currently taking place at The Nugget and the revitalization at the Galaxy Theater, when finished, Victorian Square will be a unique blend of historic Sparks with modern living, amenities, and commercial/retail spaces. 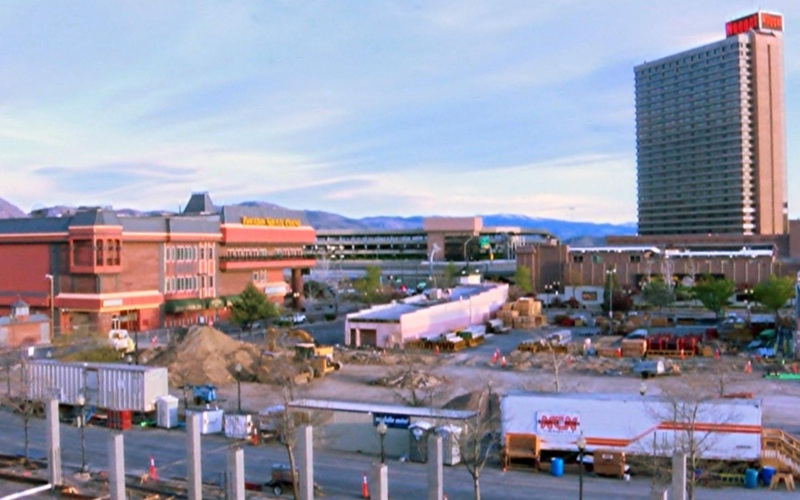 These projects represent a $350 million investment in downtown Sparks.